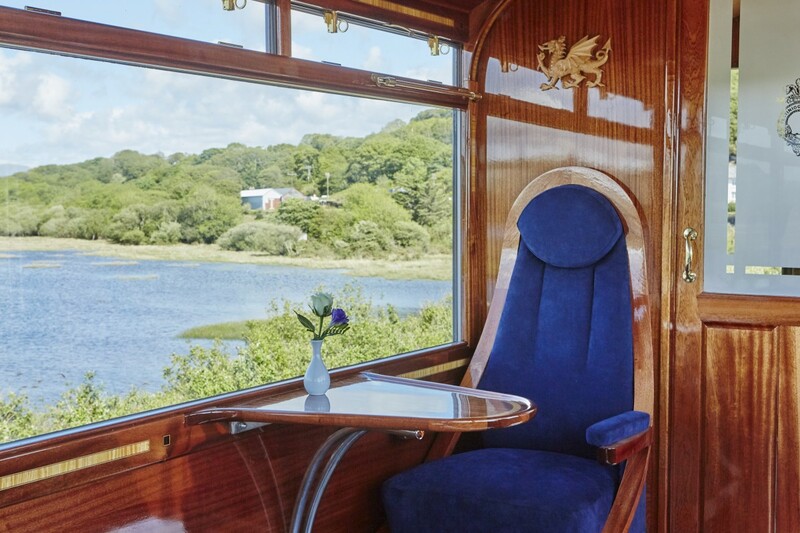 Luxury meets steam in Snowdonia this spring as new carriages are unveiled on the world-famous Ffestiniog and Welsh Highland Railways. 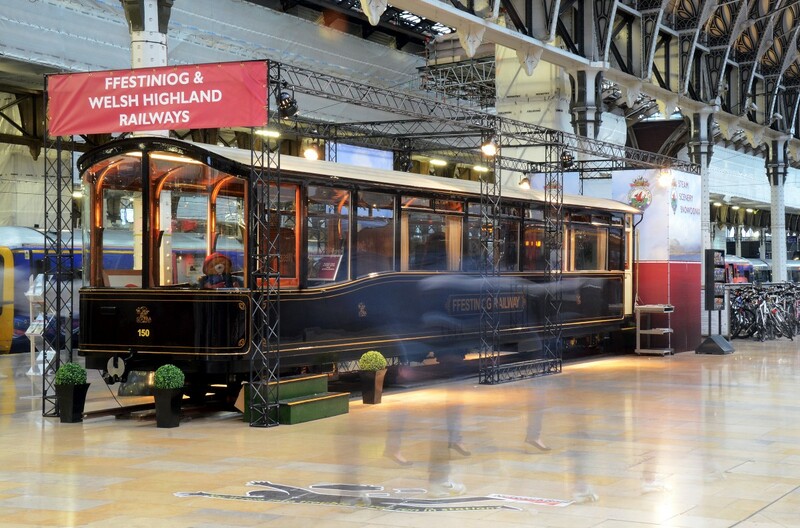 The railway itself has always had a special place in so many hearts, but the new carriages add a breath of fresh air, capturing the ambience and style of a bygone era whilst cleverly including all the facilities needed for a fun-filled day out. Our newly-crafted ‘love heart’ seats are significantly wider, providing more leg room than ever before. Not only that our tables are set in bays allowing conversation to flow effortlessly whilst enjoying our delicious buffet served at your very seat. And the views? Oh, the views…! We’ve gone to great lengths to ensure nothing comes between you and your railway adventure – the meandering rivers and lush green mountain truly spring to life thanks to our crystal clear double-glazing and incorporated central heating. Follow the train’s journey for yourself with our very own take on steam age GPS – you will find a map of the line etched into each table top by our team of expert craftsmen who hand build each new carriage right here in Wales. Fancy taking your taste of luxury to the next level? Why not upgrade to first class? You will be riding in the carriage designed by Dan Jones. Dan worked for our railway on a year-long placement from university bringing with him enthusiasm, a knack with engineering software and an incredible eye for detail. We recognised his talent immediately and set him the task of producing a design with the wow-factor that simultaneously reflected the essence of the railway. And what a carriage it is! Inspired by art deco, the new glass-ended observation bay will leave you speechless. It is an icon in the making and the interior design is a collaborative effort between architect Robert Chambers and our very own craftsmen. So now you’ve heard all about it, but don’t just take our word for it – why not come and see for yourself what the new train is all about? 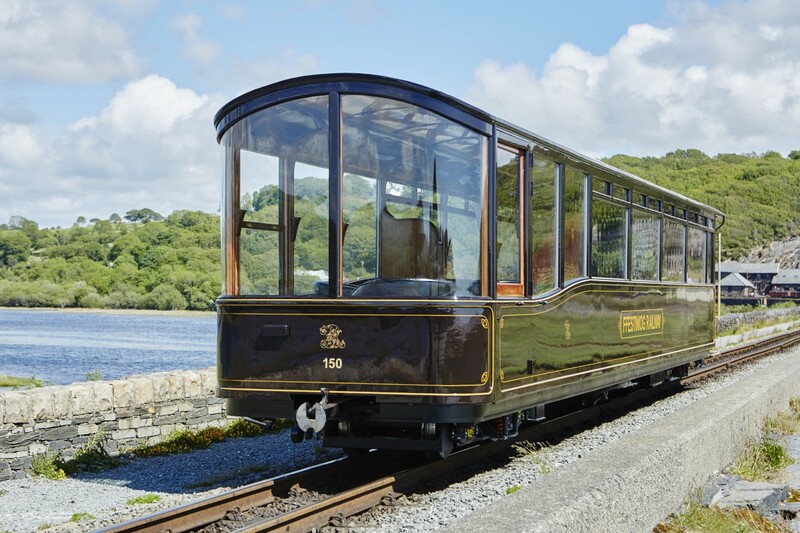 Launching this spring, the train will form services on the Ffestiniog Railway from the beginning of May. Feel free to book online but if you’d rather arrange your trip in person, we are always happy to take bookings at either of our offices in Porthmadog and Blaenau Ffestiniog (Welsh Highland Railway adventures can also begin at Caernarfon station just next to Caernarfon Castle). If, like so many others, you have visited us before, please do come again – you’ll be amazed at how the investments in our new trains and improvements to the line have allowed opportunity for new views and made one of the most beautiful regions in Europe even more accessible. There is so much wonder in Snowdonia and we are proud to take you there.